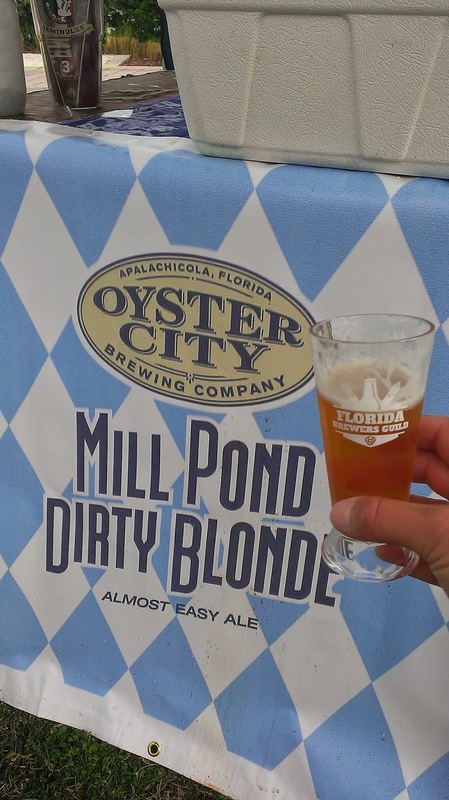 Last week at this time, I was heading across the state from St. Augustine on the ocean to Tampa on the bay, where the breweries seem to be opening faster than a hard pour. The duffel bags were loaded with too many clothes for a 2-day trip, and the cooler was enjoying its quiet time off while dutifully awaiting its return cargo. 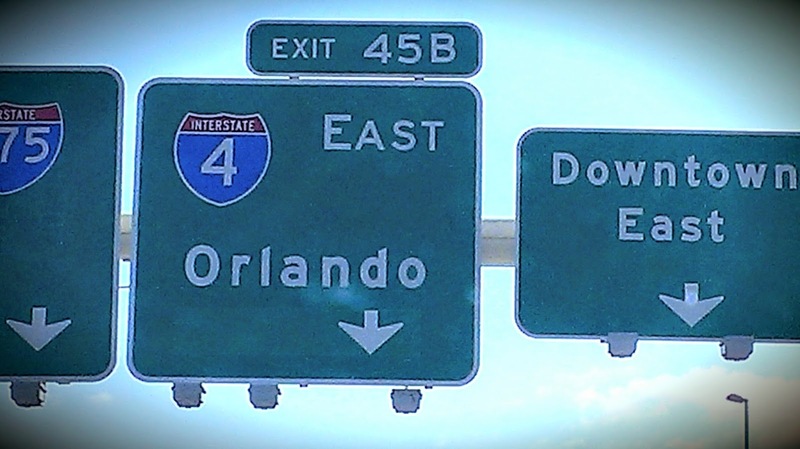 It had been a couple of years since I visited Tampa (see the two "WaZoo" posts from August 2013), and it was time to go back. 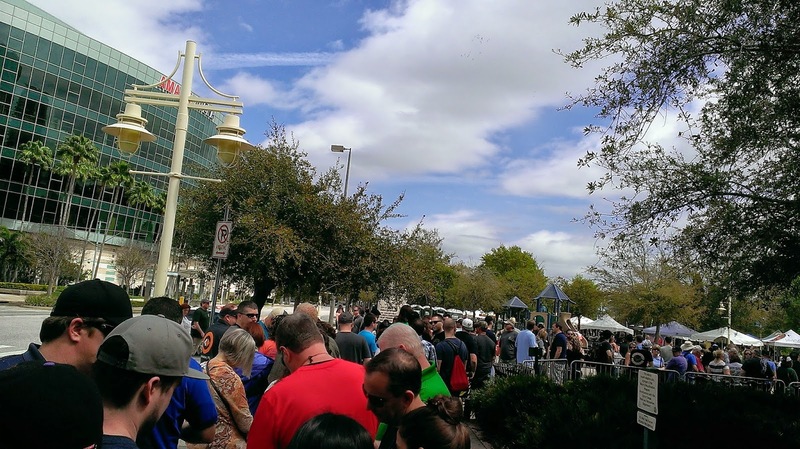 Although there are many reasons to make the drive at any time, what better reason than this: a Florida beerfest ... comprised of Florida brewers .... that set the stage for Tampa Bay Beer Week 2015 (it still has a couple of days left). 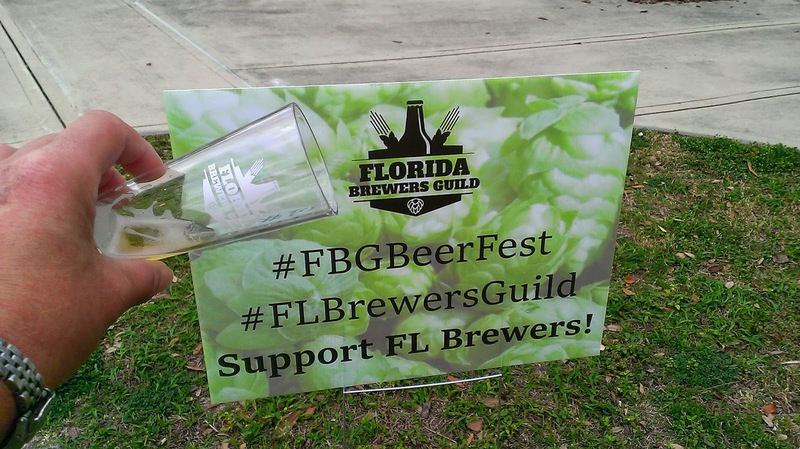 By now, you know that I'm talking about the Florida Brewers Guild Craft Beer Festival. So, how did this year's TBBW get started? 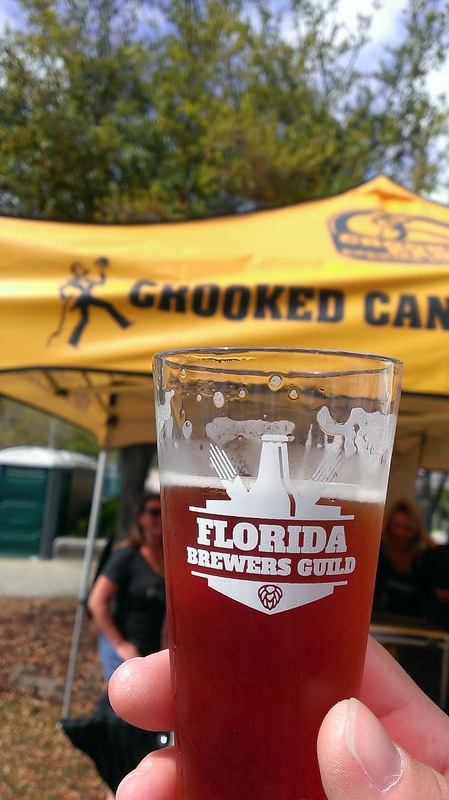 Picture it: 60 Florida craft breweries assembled at a riverfront park with flagship beers, along with some new and special beers; rows of beer tents, with plenty of space to wander around; food trucks; music; and over 1500 craft beer enthusiasts and hop-heads. Add in a rain-free day. (and, I also noted the large number of "relief stations" on the grounds, if you know what I mean). I opted to splurge and get the VIP ticket, for an extra early hour. The line was orderly, and entry was smooth. Check IDs, wristband in place, enter! 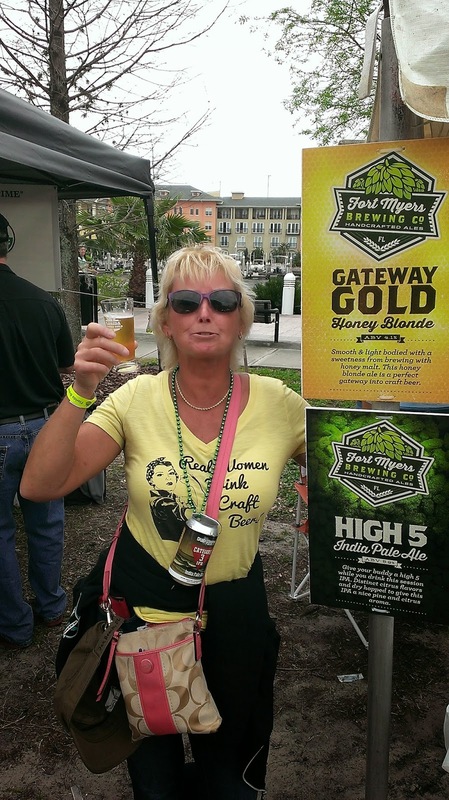 And, who was at the entry point handing out the brewery/beer list? 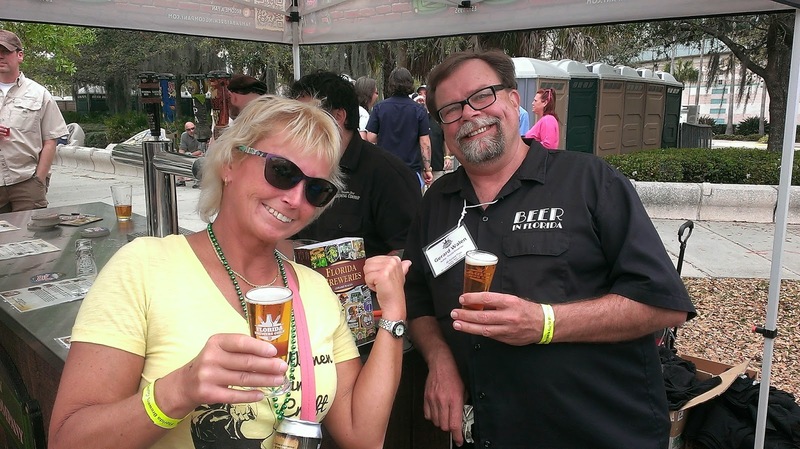 None other than Mike Halker, President of the FBG and President/Head Brewer at Due South Brewing (I'm no stranger to the tasty brews from there). I grabbed a bunch of swag stuff, and then started off the sampling with blonde ales and pilsners (palate progression, you know). I won't list all the beers I "researched" (my Untappd checkins speak for themselves, and, yes, Untappd kept up), but below are some photos. 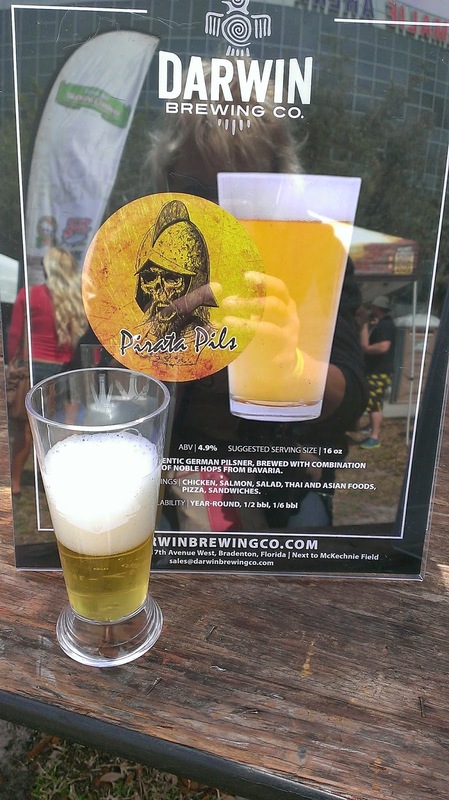 Many of the beers were ones you'd expect to find, but there were quite a few new and unusual brews, and the creativity of the brewers never ends. 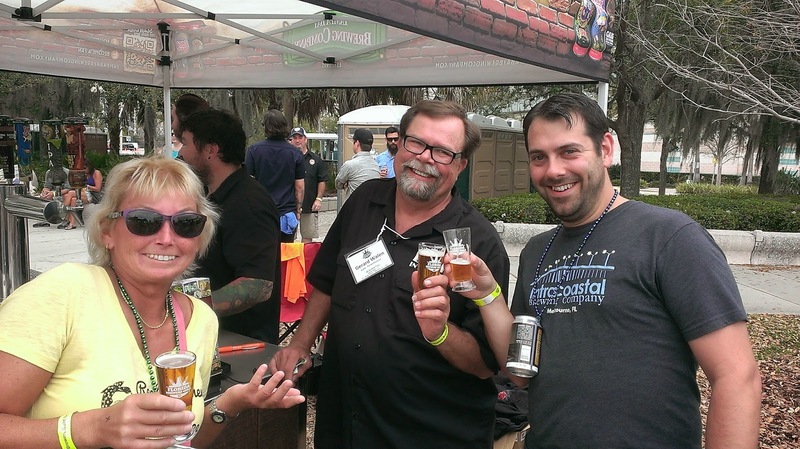 It's always fun to see brewers from across the state that I already know, and, of course, meet new ones! 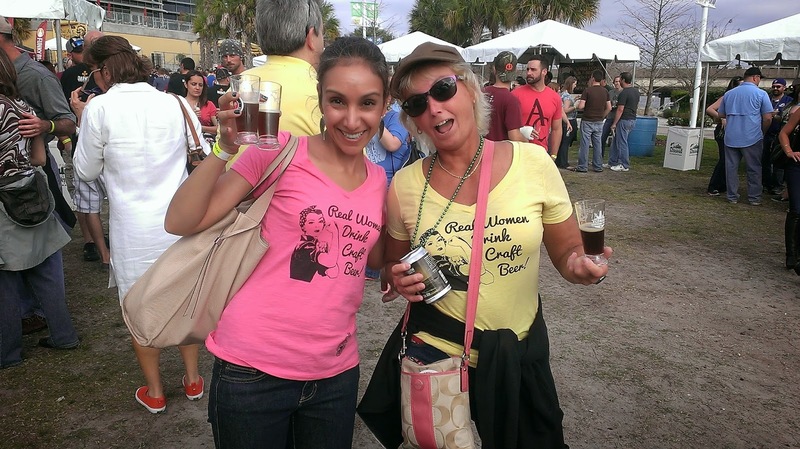 And, it's always guaranteed that you'll run in to interesting "beer people" at these things. 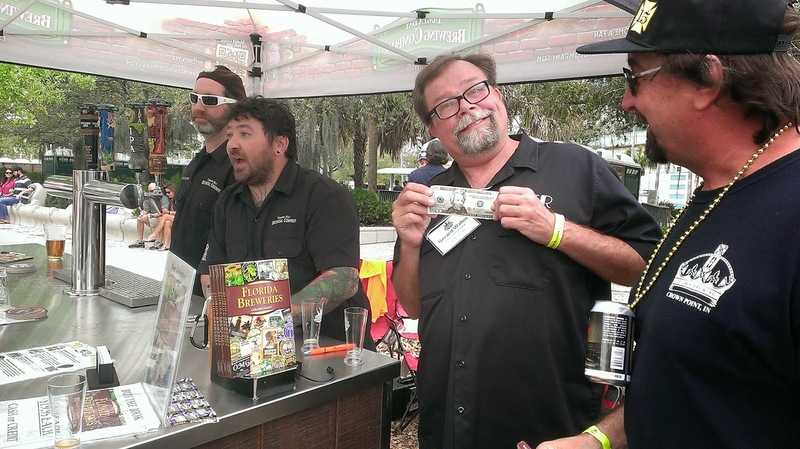 of his book "Florida Breweries"
A little money changed hands..
Gerard Walen was hanging out at the Tampa Bay Brewing Company booth signing his book "Florida Breweries." Looking spiffy, there, I might add. If you haven't met him, he's definitely one of those aforementioned "interesting" beer people. And, how about those TBBCo guys? 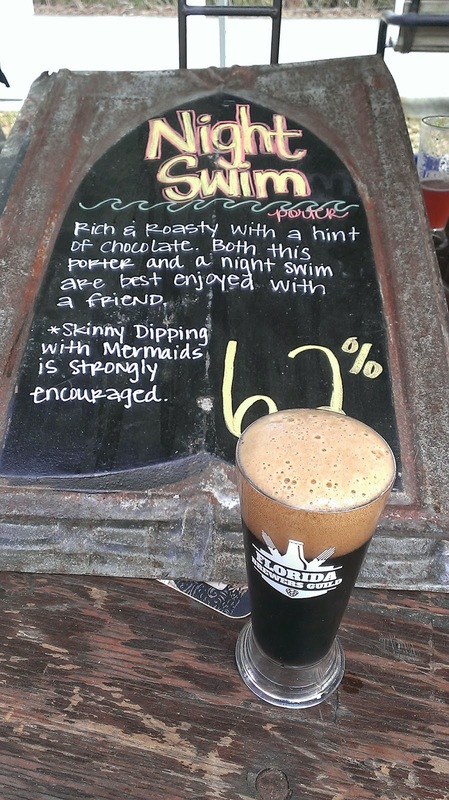 Did you try that new/special beer they had on tap? 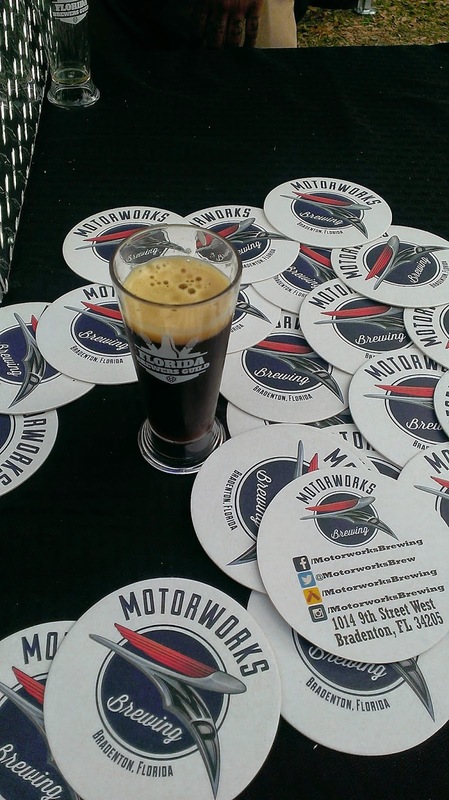 A little peach wood smoked pumpkin porter kinda thing (yeah, there was an alternate name). 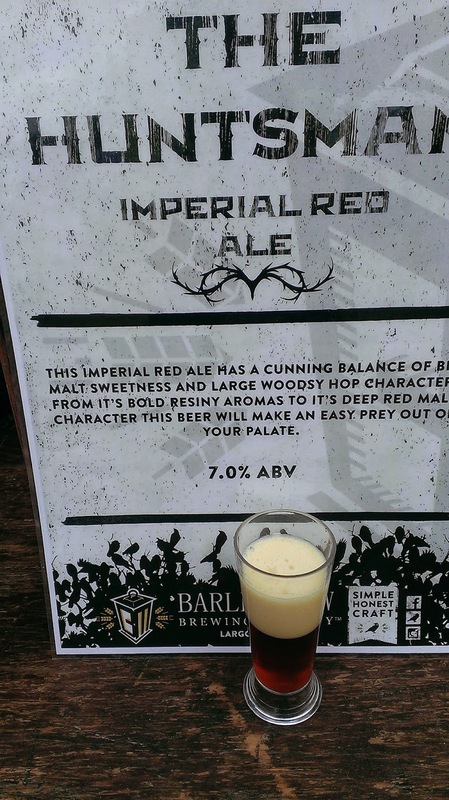 And, the beer was quite good (I could see some beer geeks dissecting it, actually). And, I promised these guys a photo ahead of time. 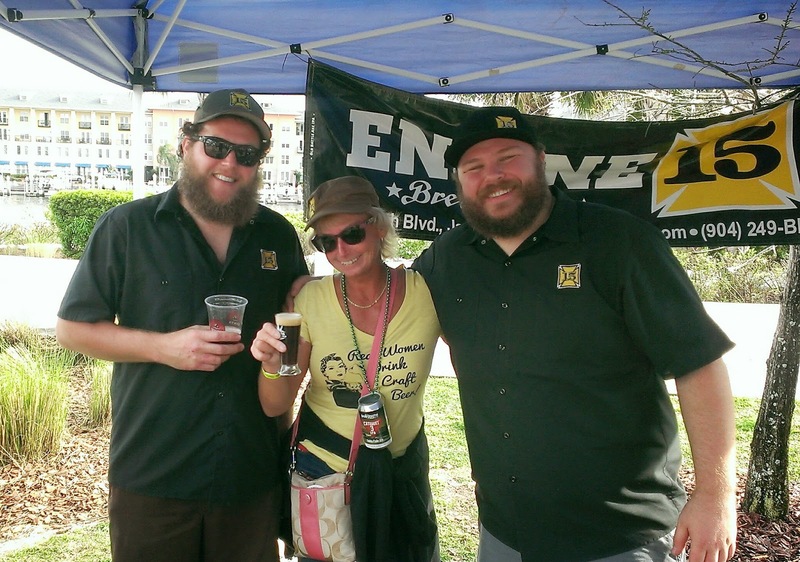 Always a party with the crew from Engine 15 Brewing! 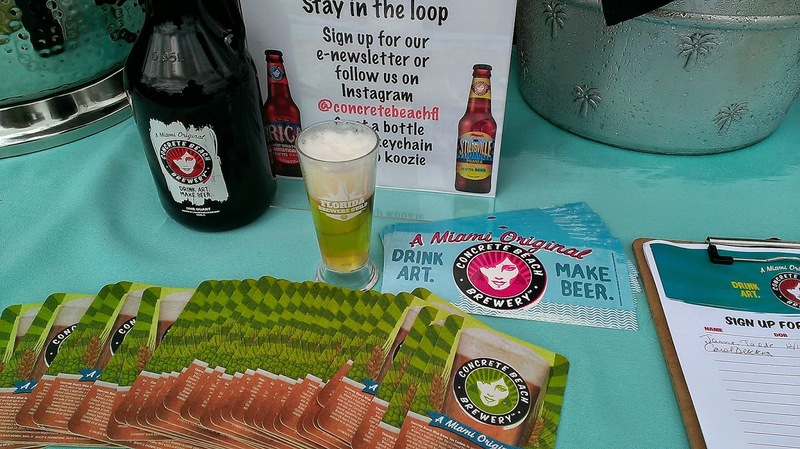 As you can see, the day was all about good beer and good beer people! 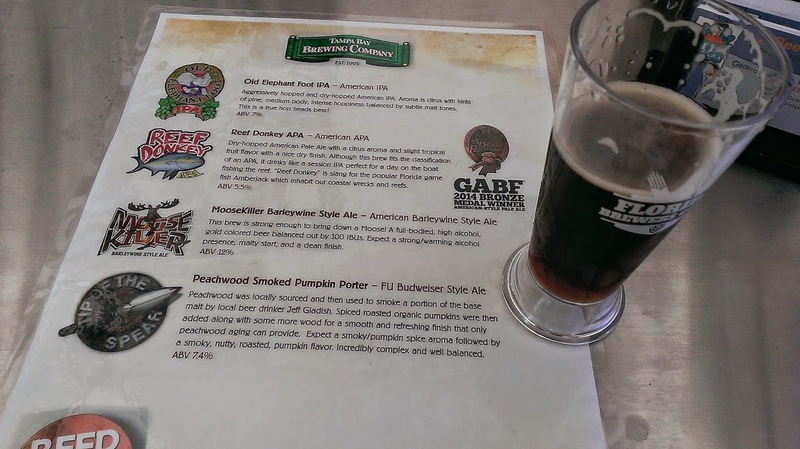 Cheers to the FBG for putting on a great beer fest. I'm looking forward to going back for FBG Fest 2016. 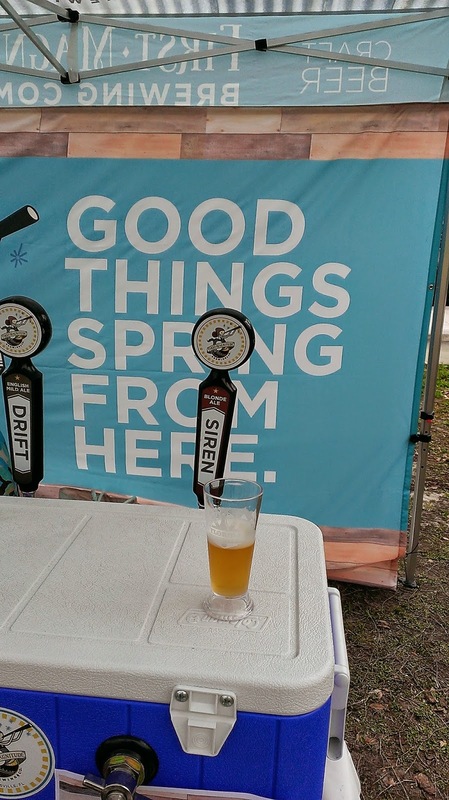 As much I love being "on the other side" and pouring and repping at a fest, I had a great time wandering all over, talking about beer, and taking photos. 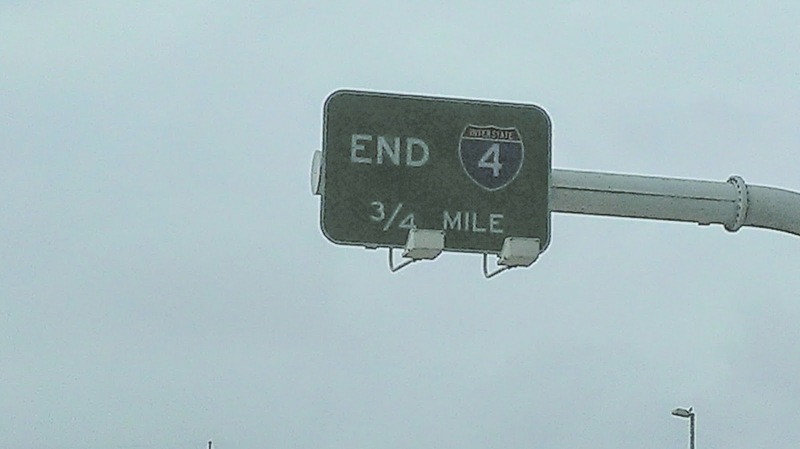 Til next time, everyone! 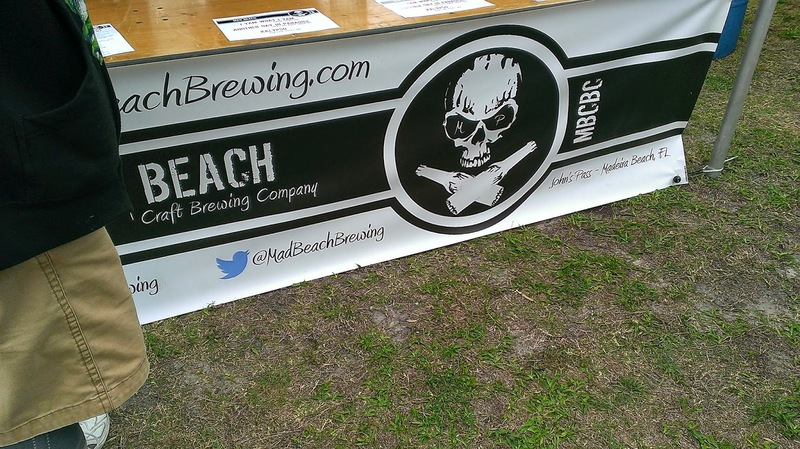 See you out there soon at a beer fest, pub, event, brewery, beach, golf course, or wherever we may meet over a beer!